The Amazon Cognito identity pool created to authenticate users of your app. The AppID created in the Mobile Analytics console when you added your app to Mobile Analytics. 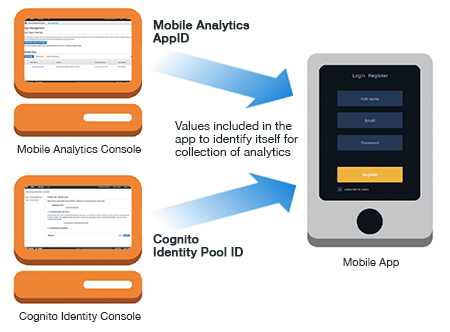 For information about providing the Mobile Analytics appID and the Cognito identity pool ID in the source code of your app, see the AWS Mobile SDK for your platform.